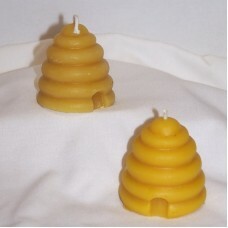 Our traditional skep candles look just like little beehives, and smell beautiful as they burn. A wonderful gift! The wax is unfiltered and still contains flecks of propolis from the hive! These skeps are sold in sets of two.